This mail merge template was inspired by the OM (Operation Mobilization) fund development training. It produces one page per partner, and includes a nice snapshot of vital information regarding the partner. 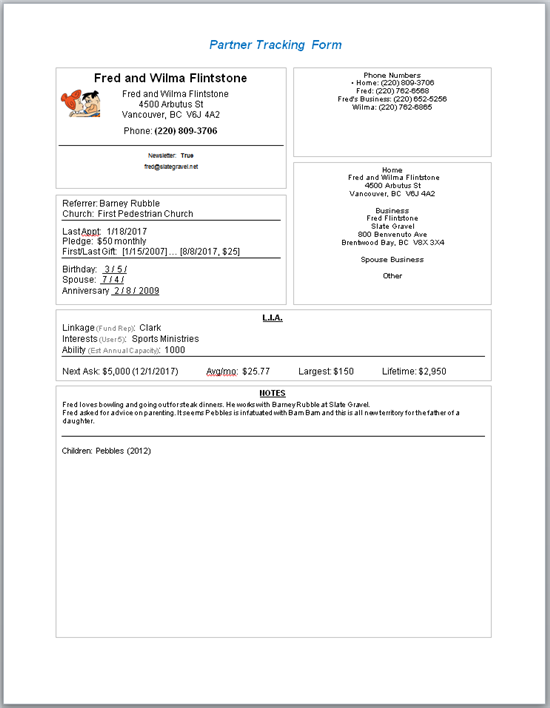 It requires TntConnect 3.4, and it's formatted for U.S. Letter paper.